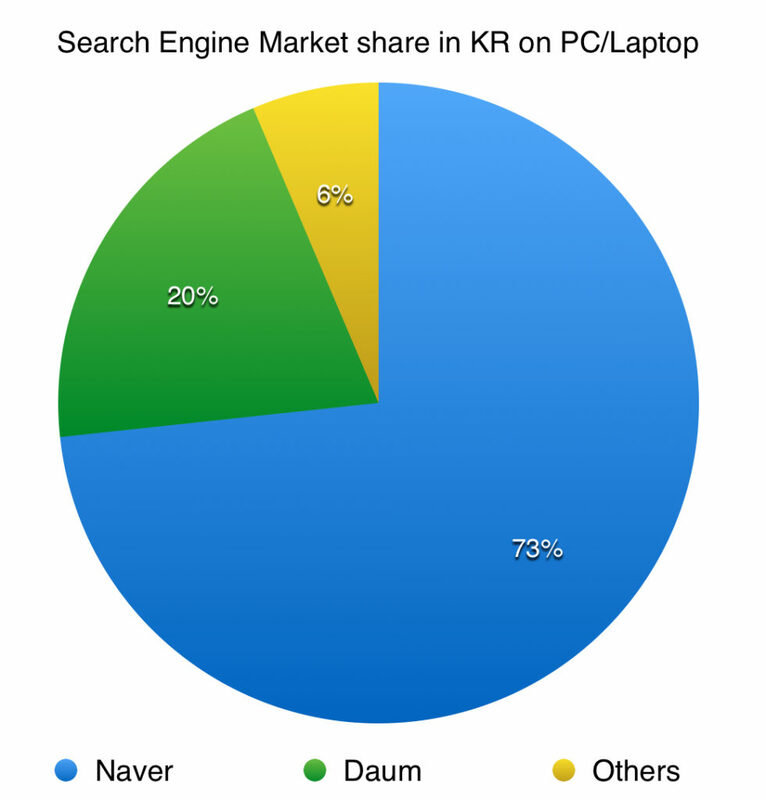 This is another update on Search Engine Market share across key markets in JAPAC. As per usual, I would try to include the original source of the data as well so that you could verify the data yourself. One quick note before we start, if you want to learn more about practical and advanced knowledge of running a global/regional search engine marketing campaign, here is my ebook on the subject, published Sept 2015. 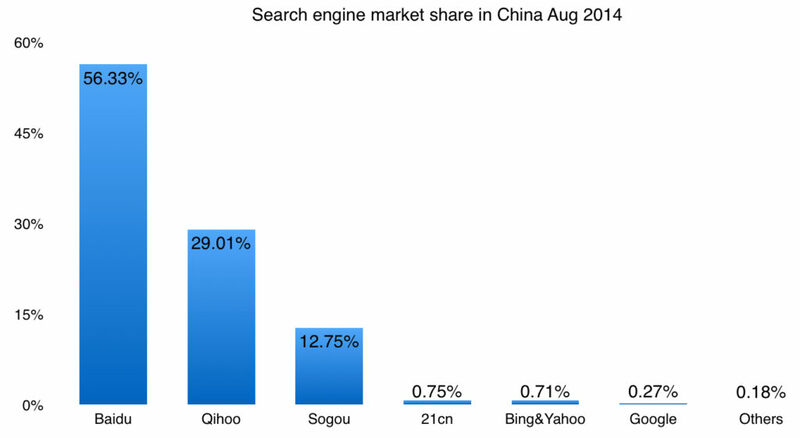 Data from CNZZ site for Aug 2014 showed that Baidu, Qihoo and Sogou command about 98% of the market share in China. 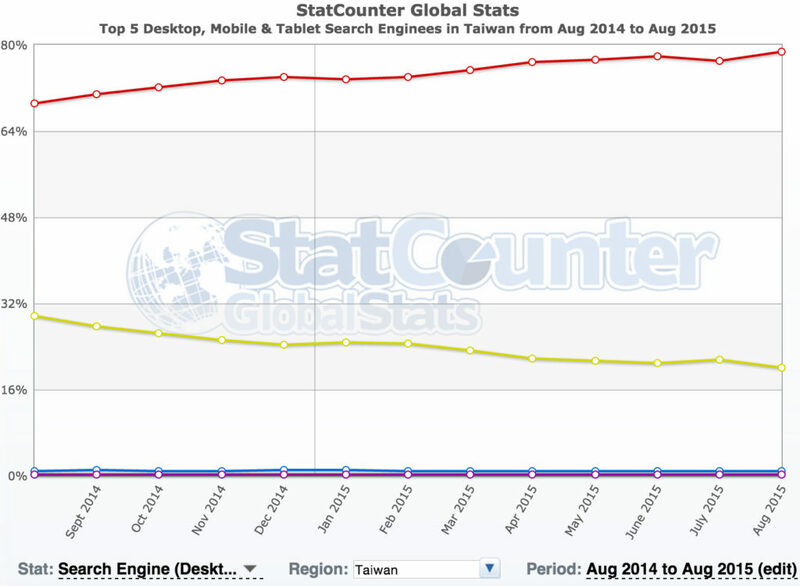 International search engines like Google, Yahoo or Bing continues to have negligible market share in China. According to Nielsen MegaView Search in Mar 2013, Yahoo! JP had about 69% of the desktop search and Google has 31%. It’s unclear about their respective market share when it comes to mobile though. If you want to compare search volume for a particular topic on Yahoo! JP and Google JP, you could use Keyword advice tool from Yahoo! JP and Keyword planner from Google. On Yahoo! JP, however, you would need to use Japanese ad copies, not English as Japanese are more comfortable reading in their local language when searching on Yahoo. There is nothing too exciting here. It’s still the same situation with Google dominates the markets with more than 90% of the market share. According to Clicky, Google has 95% of the market share in Australia. iCrossing reported that Google has 96% search engine market share in India, which is consistent with other sources. Even though the market share of Bing/Yahoo in India is very small, due to the sheer size of the online population in India (more than 200M users), it may still make sense to run SEM campaign on Bing/Yahoo in India. 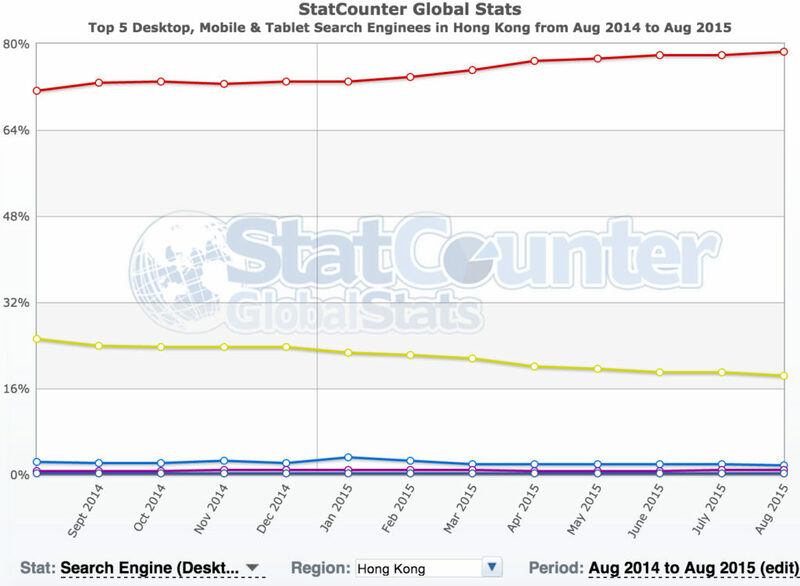 According to StatCounter, Google has close to 79% of the search engine market share in Hong Kong in Aug 2015, while Yahoo has 18.4% search market share. 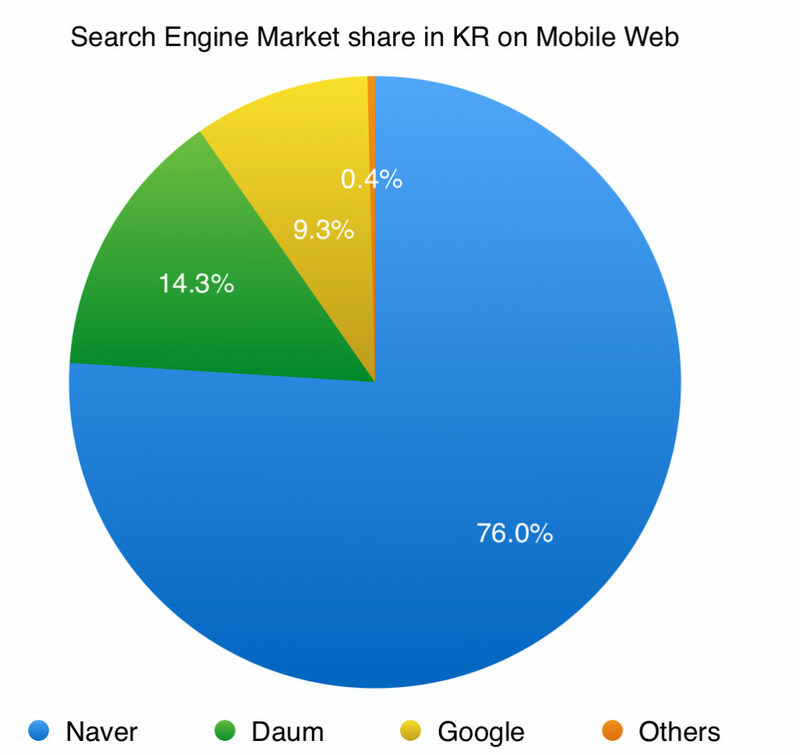 Together, they command 97% of the market share which makes the other search engines irrelevant. Hence, if you want to run an SEM campaign in Hong Kong, you would need to run on both Google and Yahoo!. Taiwan market is quite similar to Hong Kong. According to StatCounter again, Google has 79% of the search engine market share in Aug 2015, while Yahoo has 20%. The overall trend over the past 12 months is quite identical to that of Hong Kong actually. A similar recommendation is given when you want to run a SEM campaign in Taiwan. There is nothing exciting here as Google has a dominant market share of close to 90% or more in all countries in Southeast Asia. One reference data point could be comScore 2013 South East Asia digital in focus. When you run a paid search (or SEM) campaign in Southeast Asia, Google often gets more than 90% of the total budget, with Yahoo/Bing shares the remaining 10%. Because of this reason, when people run campaigns on Yahoo/Bing, they often just focus on core brand terms to purely capture audiences on Yahoo, who look for an easy way to navigate.